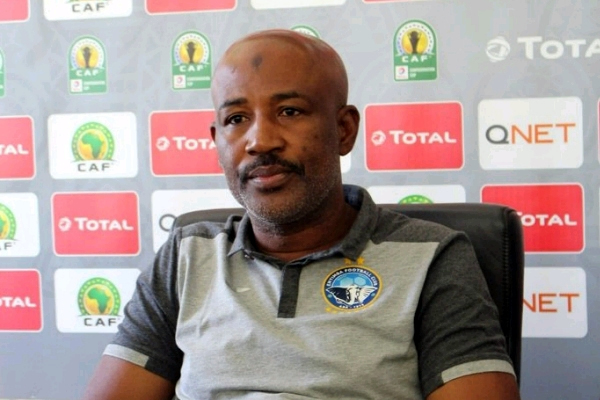 Enyimba Technical Adviser, Usman Abd’Allah is looking forward to a display of a fresh winning character from his players when the former champions welcome Rivers United in the NPFL matchday-six fixture this Sunday, . The People’s Elephant are in need of victory after a three-match winless streak left them with just four points in Group A.
Abd’Allah acknowledges the importance of a win against their neighbours – an outcome he says can only be achieved when his charges adopt a different approach. “What we have to do now is show a new character and determination in our next game,” Ab’Allah noted. “At this point, we can’t afford to drop points. I’ve discussed this with the players and they understand it very well. The People’s Elephant have also failed to score in their last two outings, but Abd’Allah insists that there is no panic in the team about that. “I can understand the anxiety of the supporters and they have every right to feel that way, but my players are not panicking,” he remarked. “When you look at our games you would see that all we need is just an element of luck. We’ve been playing well. The only thing that has been lacking in our game has been scoring the goals. “Our players know this and that’s why they are not panicking. I have a group of players that have been at a high level and understand the backlash that comes with not getting the right results. “All they’ve been doing is work hard in training to ensure that the story changes starting from Sunday.